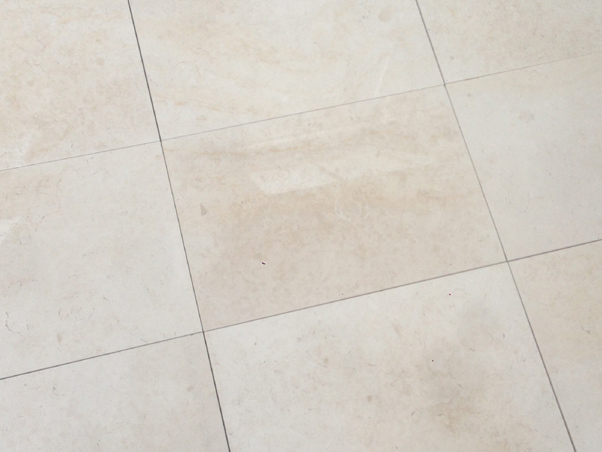 Whilst we classify this natural stone as a limestone, Galala Extra looks very similar to marbles such as the Spanish Creme Marfil and Italian Botticino marble. Both these marbles do however have a tendency to crack and split during installation or whilst being cut. Galala Extra cuts more reliably like a limestone but still polishes just as well as any marble. There are many variations of Galala limestone. The "Extra" part of the name refers to the fact that the tiles are only cut from the lightest, most consistent, and best quality blocks. This is entirely our choice because we believe that polished tiles needs to be the best quality, and with the least natural variation in shade for them to look their best. Please feel free to order a free sample or call to discuss any queries you may have. We are happy to help wherever possible.